Jim Frost, 57, is an avid hiker, who spends hours each week on local trails. He is also a real estate broker and appraiser; a husband and dog owner; and a cancer survivor, who was diagnosed with Stage III colorectal cancer last year after a routine screening. 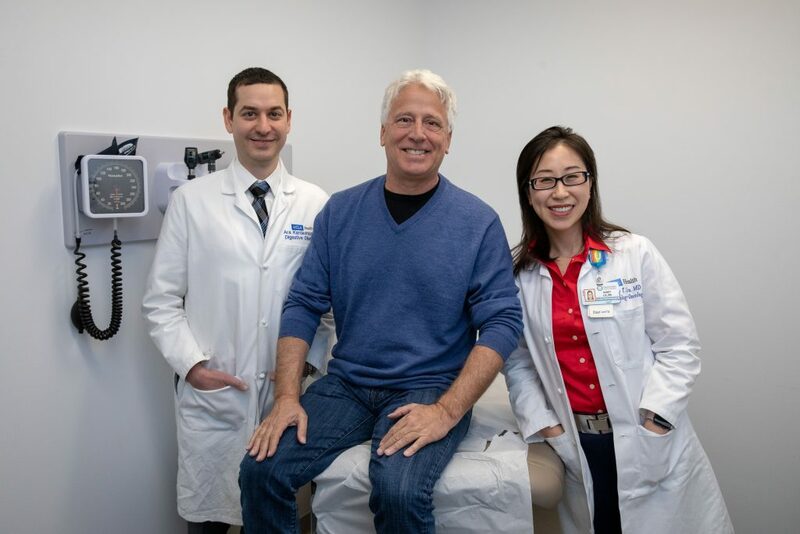 Before he was diagnosed with colon cancer, Frost went in for a primary care appointment last February with Dr. Philip Cohen at the UCLA Health Encino office. During this checkup, Dr. Cohen noted that Frost was long overdue for his colon cancer screening, which he should have had at 50. Because Frost was also experiencing some abdominal pain, Dr. Cohen referred him to see Encino-based gastroenterologist Dr. Ara Kardashian, to discuss both his symptoms and that screening. About two weeks later, Dr. Kardashian met with Frost, who says he put off his colon cancer screening because he didn’t like the idea of the colonoscopy prep, which involves drinking a liquid that clears you out, and was nervous about the procedure itself. But after that appointment, he was compelled to schedule his colonoscopy for later in the month. Frost did, however, wake up from anesthesia to some unsettling news. During the colonoscopy, which was performed at an outpatient surgical center in Encino, Dr. Kardashian found a mass that he thought looked malignant. He took multiple small biopsies during the procedure, which he sent off to a lab for testing. But he was certain enough about his diagnosis that he shared the news with Frost. The biopsy results came back two days later and confirmed Dr. Kardashian’s hunch: Frost had colon cancer. Dr. Kardashian referred him to see hematologist/oncologist Dr. Sandy Liu, who works in the suite next door to him, and within a few days, Frost was there to discuss his treatment plan. Dr. Liu says the first step was to check Frost’s liver and kidney function, and to test for a colon cancer marker called CEA. The next step was for him to have a scan to see if the cancer had spread (it hadn’t), and then to meet with Westwood-based colorectal surgeon, Dr. Anne Lin. At their appointment, Dr. Lin explained the surgery and how she would remove the left portion of his colon, where the cancer was located, and also a polyp on the right portion of his colon that was too large to be removed during Frost’s colonoscopy. 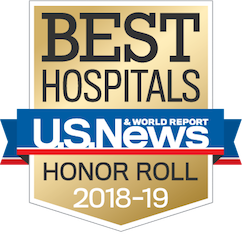 Dr. Lin performed the surgery at Ronald Reagan UCLA Medical Center on May 10, 2018. As expected, she completely removed the cancerous left portion of Frost’s colon, and also removed the entire right portion of his colon. She left the transverse portion of his colon, that earlier connected the two sides, intact. Then he was back in to see Dr. Liu in late-May to discuss the next steps of his treatment. Based on the size of his malignancy and the involvement of one lymph node of the dozen that were removed, Frost was diagnosed with Stage III colon cancer. Dr. Liu recommended a three- to six-month course of adjuvant chemotherapy, meant to prevent a colon cancer recurrence, which Frost started in June. Frost received his chemotherapy infusions right in the Encino office, conveniently located just minutes away from his home. Although the side effects, including nausea and nerve pain, were worse than he expected, Dr. Liu offered supportive care medications to help alleviate some of his symptoms, and also motivated Frost to continue with the treatment for three months. On August 15, he completed his treatment and was deemed cancer-free. “That was the happiest day of my life,” Frost says. Now, things have pretty much returned to normal. Frost says he is back to hiking four times per week—most often in nearby Fryman Canyon. He is also back to working full-time as a real estate broker, and spending time with his wife and two dogs, who he says were a huge comfort to him during treatment. Dr. Kardashian says that Frost will need more intensive surveillance moving forward, including a repeat colonoscopy in a few months. He will also have regular blood tests and scans to make sure that the cancer does not return, Dr. Liu says. Even though Frost was experiencing abdominal pain prior to his colonoscopy, Dr. Kardashian doesn’t think it was related to his cancer. Dr. Lin agrees. “I see plenty of patients with tumors the same size as his who don’t have any symptoms,” she says. This underscores an important point that primary care doctors, gastroenterologists, colorectal surgeons and other physicians stress: Everyone should complete their colon cancer screening at the appropriate age, regardless of symptoms.